DOWNLOAD THE APP AND THEN PRESS THE CONTINUE BUTTON. SELECT THE DIGITALNOW 2018 EVENT. YOU WILL BE BROUGHT TO A SCREEN WITH A DESCRIPTION OF THE EVENT, CONFIRM OF YOUR SELECTION OF THE EVENT BY CLICKING SELECT THIS EVENT. 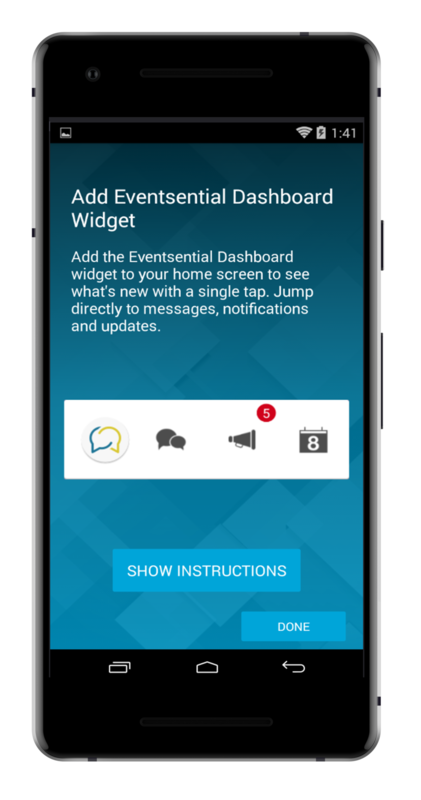 CHOOSE WHETHER OR NOT YOU'D LIKE ADD THE APP WIDGET TO YOUR MOBILE DEVICES DASHBOARD. 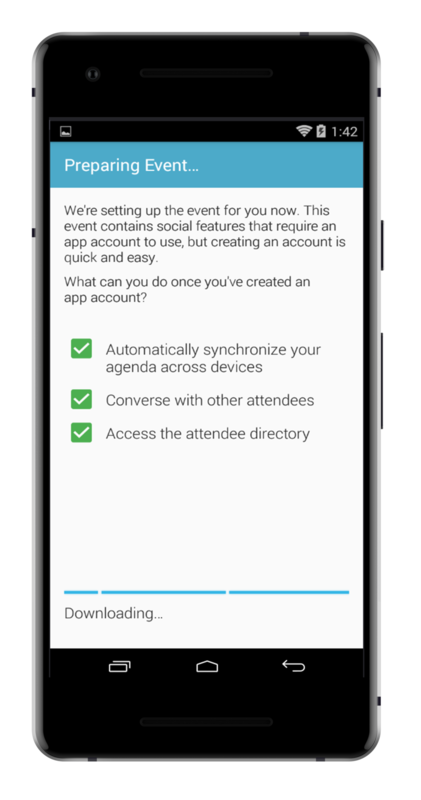 YOU WILL NOW SEE THAT YOUR APP IS AUTOMATICALLY SYNCHRONIZNG YOUR DATA WITH THE APP, ALLOWING FOR NOTIFICATIONS, ACCESS TO THE DIRECTORY AND THE FULL APP EXPERIENCE. 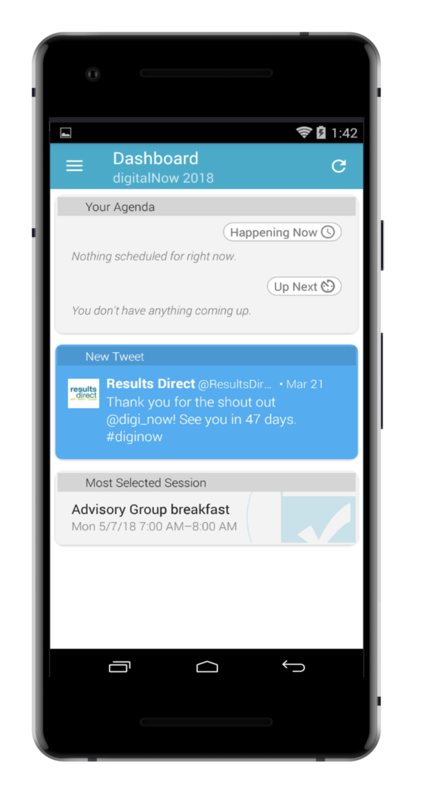 WELCOME TO THE DIGITALNOW 2018 OFFICIAL CONFERENCE APP. THIS IS THE DASHBOARD SCREEN WHERE YOUR AGENDA WILL BE STORED, ANY CURRENT CONVERSATIONS, AS WELL AS YOUR SOCIAL OPTIONS.